The most anticipating Shopping Festival 11.11 is coming! The day started out as a joke among a group of male college students from Nanjing University in the 1990s. Originally called Bachelor Day because it was celebrated only by young men, the holiday has since morphed into a nationwide holiday for all genders, with its own traditions (according to China Daily). People eat four fried dough sticks representing the four ones in 11.11. Blind-date parties and even matchmaking fairs have become popular November 11 events. The 11.11 Shopping Festival debuted in 2009 as a 24-hour online sale featuring a wide range of merchandise offered at 50% discounts. The promotion was originally created and hosted by Tmall.com, China’s largest B2C (business-to-consumer) shopping website, to raise awareness of online shopping among Chinese consumers while giving a sales boost to independent merchants selling on Tmall. Alibaba has announced that its total sales for 2014 on Singles’ Day – China’s largest online shopping festival – reached a record $9.3 billion which is roughly 2 times more sales volume in a single day than the three biggest U.S. shopping days combined. The big numbers started early, and Alibaba said it clocked its first $1 billion this year in less than 20 minutes – by 12.17am to be precise. In Singapore, we also can be part of the 11.11 shopping festival and enjoy up to 50% off to most products (greater deals and offers than Great Singapore Sales!) through 65daigou! I’m going to give you some 65daigou shopping tips and how to be prepared for the upcoming 11.11. 1. Start Early – Start sourcing for your loots now and save them into your 65daigou shopping cart. 2. Be prepared – Find alternatives for each items, so on 11.11 you can choose to purchase the cheaper items and to prevent items being sold out. 3. Prevent errors – Make sure the item size, colour, design and etc. are chosen correctly when you add to cart. 4. Avoid Disappointment – State an alternative colour/design or alternative item in case the primary item is out of stock. 6. Receive Updates – Download iphone/android 65daigou app to receive updates and reply them instantly on your mobile. 7. Contacts – For urgent orders, call our hotline or use our online-chat for immediate assistance. 8. More Useful Tips – Try to look for products around Shanghai, chances of being delayed by China domestic couriers will be lower compared to Guangzhou warehouse. Introducing the NEW 65dagiou Ezbuy functions! EZbuy is the New Taobao Shopping experience, greater convenience and more benefits. Do not miss out the 11.11 Shopping Festive! 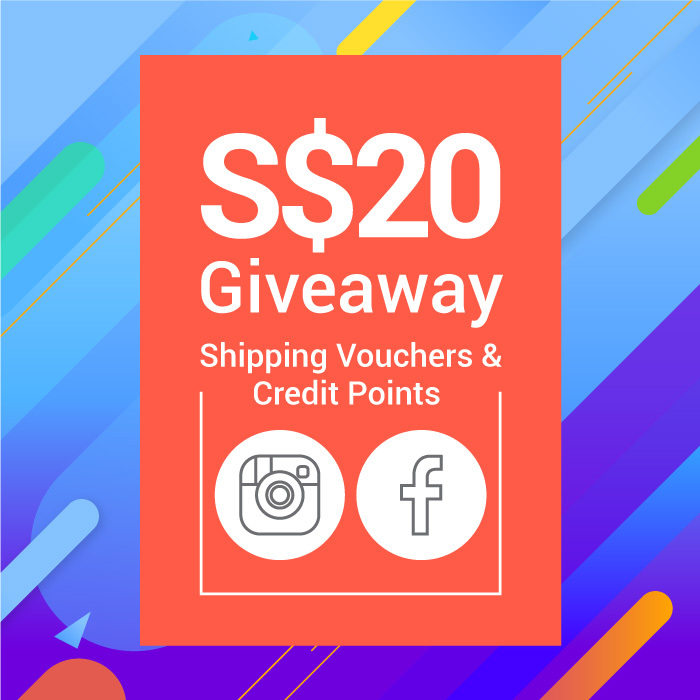 WIN S$20 Shopping Voucher + 200 Credit Points! our Facebook Giveaway and win S$20 shopping voucher! 65daigou is your preferred 11.11 shopping agent! Do remember hashtag #65daigou1111 #taobao!